3B0919051C / 1J0919087D / 6N0919051N / 1J0919051J. For Audi A3 Seat Cordoba Skoda Superb VW Bora In-Tank Fuel Pump assembly. VW Passat [1996-2005]. VW Bora [1998-2005]. VW Caddy [1995-2004]. VW Golf [1997-2005]. VW Passat 3C2 1.9 TDI 2005/03-2008/11 1896 cc, 77 kW, 105 HP 2005/10 - 2008/11 (Chassis number up to: 3C-B-049 999. VW Passat 3C2 2.0 TDI 2005/03-2009/05 1968 cc, 103 kW, 140 HP 2006/08 - 2009/05 (Chassis number up to: 3C-B-049 999. ). For Audi A3 Seat Cordoba Skoda Superb VW Bora In-Tank Fuel Pump assembly. Skoda Fellcia [1994-2002]. VW Bora [1998-2005]. Skoda Superb [2001-2008]. Seat Cordoba [1993-2002]. Seat Cordoba Vario [1996-2002]. VW 1K0919050G. VW EOS 1F8 2.0 TDI. VW Golf MK V 1.9 TDI. VW Golf MK V 1.9 TDI 4motion. VW 1K0 919 050 AB. VW 1K0 919 050 D. VW 1K0 919 050 Q. VW 1K0 919 050 G.
High Pressure Fuel Pump 03C127026E For Audi A1 A3 VW Passat B7 Skoda Seat. AUDI 03C 127 026 Q. AUDI 03C 127 026 C. AUDI 03C 127 026 G. AUDI 03C 127 026 J. AUDI 03C 127 026 E. AUDI 03C 127 026 D.
For Audi A3 Seat Cordoba Skoda Superb VW Bora In-Tank Fuel Pump assembly. VW Passat [1996-2005]. VW Bora [1998-2005]. VW Caddy [1995-2004]. VW Golf [1997-2005]. VW New Beetle [1998-2011]. VW Polo [1994-2001]. 2.0 TDI ENGINES. TRANSPORTER MK5. Mass Air Sensor. Fuel Injector. TO FIT THE FOLLOWING MODELS PART NO: 0 928 400 706. We are car parts specialists dealing directly from manufacturer to you with over high experience in this market. AUDI 8A0906091. VW 8A0906091. 80 Saloon (89, 89Q, 8A, B3) 1.8, S, PM, 17816690, Saloon, 86/09 - 91/10. 80 Saloon (89, 89Q, 8A, B3) 1.8, S, Quattro, PM, 17816690, Saloon, 86/09 - 91/09. Audi 80 Saloon (89, 89Q, 8A, B3) (1986/06 - 1991/10). VW 1K0919050J. VW 1K0 919 050 AB. VW 1K0 919 050 D. VW 1K0 919 050 Q. VW 1K0 919 050 G. VW 1K0 919 050 J. VW 1K0919050AB. VW 1K0919050D. Skoda Fellcia [1994-2002]. VW Bora [1998-2005]. Skoda Superb [2001-2008]. Seat Cordoba [1993-2002]. Seat Cordoba Vario [1996-2002]. Audi A3 [1996-2003]. VW Caddy [1995-2004]. VW Golf [1997-2005]. VW 043 919 051 ， 043919051. VW 919 073 001. VW BAA 919 051 C. OEM Part Number. III.Fit For the Following. Rated current: 5.5A. 80 Saloon (89, 89Q, 8A, B3) 1.8, S, PM, 17816690, Saloon, 86/09 - 91/10. 80 Saloon (89, 89Q, 8A, B3) 1.8, S, Quattro, PM, 17816690, Saloon, 86/09 - 91/09. Audi 80 Saloon (89, 89Q, 8A, B3) (1986/06 - 1991/10). OE REF: 1K0919051BH. VW GOLF MK5 2.0 GTi. Water Pump. FOR FORD FOCUS MK1 MK2 CMAX C-MAX IN TANK FUEL PUMP FEED SENDER UNIT. Head Gasket & Sets. Wiper Blades / Kits / Arms. Timing Chain Kit. Any claims after 24 hours will be dismissed for a claim. 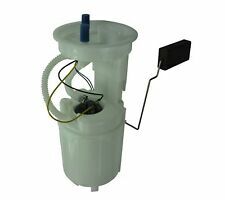 1 x BRAND NEW FUEL PUMP 1K0 919 050 J FITS: AUDI A3 8P1 2.0 TDI 2003-> VW GOLF MK5 2.0 TDI 2003->. 1 x BRAND NEW FUEL PUMP AUDI - A6 (4B, C5) - 1.8 07.97 - 01.05 Saloon AUDI - A6 (4B, C5) - 1.8 T 01.97 - 01.05 Saloon AUDI - A6 (4B, C5) - 2.4 07.98 - 01.05 Saloon AUDI - A6 (4B, C5) - 2.4 02.97 - 01.05 Saloon AUDI - A6 (4B, C5) - 2.4 quattro 02.97 - 01.05 Saloon AUDI - A6 (4B, C5) - 2.4 02.97 - 01.05 Saloon AUDI - A6 (4B, C5) - 2.4 quattro 02.97 - 01.05 Saloon AUDI - A6 (4B, C5) - 2.8 02.97 - 01.05 Saloon AUDI - A6 (4B, C5) - 2.8 quattro 02.97 - 01.05 Saloon AUDI - A6 Avant (4B, C5) - 1.8 12.97 - 01.05 Estate AUDI - A6 Avant (4B, C5) - 1.8 T 12.97 - 01.05 Estate AUDI - A6 Avant (4B, C5) - 1.8 T quattro 12.97 - 01.05 Estate . 1 x BRAND NEW FUEL PUMP OE QUALITY / RELIABLE GERMAN BRAND FITS: VW TOURAN (1T1, 1T2) 1.6 FSi 2003-2007. AUDI A3 1.9 TDI 74KW 100KM. AUDI A3 1.9 TDI 77KW 105KM. AUDI A3 1.9 TDI 96KW 130KM. AUDI A3 1.9 TDI 96KW 130KM quattro. AUDI A3 2.0 TDI 100KW 136KM. AUDI A3 2.0 TDI 16V 103KW 140KM. AUDI A3 2.0 TDI 16V 103KW 140KM quattro. VW 1K0 919 050 AB. VW 1K0 919 050 D. VW 1K0 919 050 Q. VW 1K0 919 050 G. VW 1K0 919 050 J. VW 1K0919050AB. VW 1K0919050D. VW 1K0919050Q. 1 x FUEL PUMP UNIT FITS Model Year Body Style kW HP cc SEAT - ALTEA (5P1) - 1.9 TDI 04.04 - MPV 77 105 1896 SEAT - ALTEA (5P1) - 2.0 TDI 03.04 - 05.09 MPV 100 136 1968 SEAT - ALTEA (5P1) - 2.0 TDI 11.05 - MPV 103 140 1968 SEAT - ALTEA (5P1) - 2.0 TDI 16V 03.04 - MPV 103 140 1968 SEAT - ALTEA (5P1) - 2.0 TDI 03.06 - MPV 125 170 1968 SEAT - ALTEA XL (5P5, 5P8) - 1.9 TDI 10.06 - MPV 77 105 1896 SEAT - ALTEA XL (5P5, 5P8) - 2.0 TDI 10.06 - MPV 103 140 1968 SEAT - ALTEA XL (5P5, 5P8) - 2.0 TDI 16V 10.06 - MPV 103 140 1968. VW 1K0919050Q. VW EOS 1F8 2.0 TDI. VW Golf MK V 1.9 TDI. VW Golf MK V 1.9 TDI 4motion. VW Golf MK V 2.0 SDi. VW Golf MK V 2.0 TDI. VW Golf MK V 2.0 TDI 4motion. VW Golf V MK V 2.0 TDI 16V. 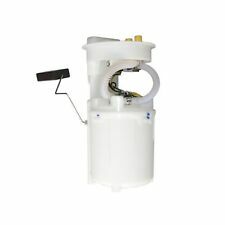 1 x FUEL PUMP --- BOSCH --- OE QUALITY FITS PLEASE SEE EBAY COMPATIBILITY TABLE OR CHECK WITH OE NUMBER/S! Manufacturer OE Number AUDI | SEAT | SKODA | VW 1GD 919 051 B, 1J0 919 051 H, 1J0 919 051 K, 1J0 919 087 H, 1J0 919 087 J, 3B0 919 051 B, 3B0 919 051 C, 4B0 919 051 E, 6N0 919 087 F, 6Q0 919 051, 6Q0 919 051 F, 6UD 919 051 E, 6U0 919 051 D, 6U0 919 051 F, 7H0 919 087, 7M0 919 087 B, 7M0 919 087 D,. 06H127025 N, 06H127025 P 06H 127 025Q. Audi A3 8P 2008 2.0T - TSI FWDAudi A3 8P 2008 2.0T - TSI FWD. Audi A3 8P 2009 2.0T - TSI FWDAudi A3 8P 2009 2.0T - TSI Quattro. Audi A3 8P 2010 2.0T - TSI FWDAudi A3 8P 2010 2.0T - TSI Quattro. However delays are occasionally inevitable due to unforeseen circumstances. Buy it Now. RECEIVING INCORRECT PARTS. THIS WILL AVOID ANY. Must Read Before You Buy. 99-04 Volkswagen Golf/ 01-05 Seat Leon 1.9TDI Sender Unit 1J0919183D. Condition is Used. Part was tested before being removed and is in good working order. VW 06D 109 309 C. VW 06D 109 309 F. With these parts you can replace your defective parts simply plug and play. Quality Warranty: 24 Months. OEM Part Number. Our warranty is valid for max. 24 months without mileage limitation. VW EOS 1F8 2.0 TDI. VW Golf MK V 1.9 TDI. VW Golf MK V 1.9 TDI 4motion. VW Golf MK V 2.0 SDi. VW Golf MK V 2.0 TDI 16V. VW Golf V MK V 2.0 TDI. VW Golf MK V 2.0 TDI 16V 4motion. VW Golf V MK V 2.0 TDI 16V. Item: In Tank Fuel Pump. Make: Seat. With these parts you can replace your defective parts simply plug and play. OEM Part Number. Our warranty is valid for max. 24 months without mileage limitation. 06E 109 309 A.
Audi Q3 2015 2.0T FWD. Audi Q3 2015 2.0T Quattro. Audi TT Convertible MK2 2008 2.0T TSI FWD. Audi TT Convertible MK2 2009 2.0T TSI FWD. Audi TT Convertible MK2 2012 2.0T TFSI Quattro. Audi TT Convertible MK2 2013 2.0T TFSI Quattro. Audi TT Convertible MK2 2008 2.0T TSI FWD. Audi TT Convertible MK2 2013 2.0T TFSI Quattro. Audi TT Convertible MK2 2009 2.0T TSI FWD. Audi TT Convertible MK2 2012 2.0T TFSI Quattro. Audi A3 8P 2008 2.0T - TSI FWDAudi A3 8P 2008 2.0T - TSI FWD. 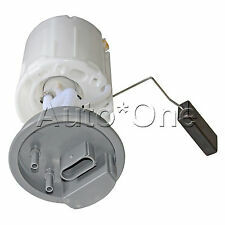 IN TANK FUEL PUMP & SENDER UNIT Volkswagen Golf MK4 1.9TDI. All parts are stamped & removal of the marks will invalidate your warranty. In the event that a part is supplied and proven to be incorrect or faulty, we must be notified within 24 hours. Part number : A2C53166111. 2009-2013 GOLF 6 TANK UNIT. All parts are stamped & removal of the marks will invalidate your warranty. In the event that a part is supplied and proven to be incorrect or faulty, we must be notified within 24 hours. Part number : 1J0919183D. 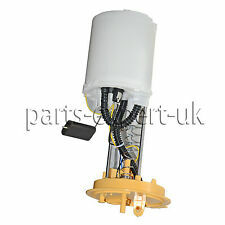 IN TANK FUEL PUMP & SENDER UNIT 99-04 MK4 Golf 1.9TDI. All parts are stamped & removal of the marks will invalidate your warranty. In the event that a part is supplied and proven to be incorrect or faulty, we must be notified within 24 hours. AUDI 03C 127 026 Q. AUDI 03C 127 026 C. AUDI 03C 127 026 G. AUDI 03C 127 026 J. AUDI 03C 127 026 E. AUDI 03C 127 026 D. AUDI 03C 127 026 P. AUDI 03C 127 026 M.
VW Passat 3C2 1.9 TDI 2005/03-2008/11 1896 cc, 77 kW, 105 HP 2005/10 - 2008/11 (Chassis number up to: 3C-B-049 999. VW Passat 3C2 2.0 BlueTDI 2009/01-2010/11 1968 cc, 105 kW, 143 HP 2009/01 - 2009/09 (Chassis number up to: 3C-B-049 999. ). High Pressure Fuel Pump 03C127026E For Audi A1 A3 VW Passat B7 Skoda Seat. AUDI 03C 127 026 Q. AUDI 03C 127 026 C. AUDI 03C 127 026 G. AUDI 03C 127 026 J. AUDI 03C 127 026 E. AUDI 03C 127 026 D. AUDI 03C 127 026 P.
2.0 TDI ENGINES. Mass Air Sensor. Fuel Injector. TO FIT THE FOLLOWING MODELS PART NO: 0 928 400 706. We are car parts specialists dealing directly from manufacturer to you with over high experience in this market.